This year, we had a few very special patients at Wildlife Aid. For the first time in 34 years, we had red kites at the hospital; five to be precise. One sadly died, three were returned to the wild and the fifth was recently released after going through orthopaedic surgery for a broken leg. Vet, Angus Anderson, from Anderson Abercromby Orthopaedic Veterinary Referrals, kindly operated on the bird, free of charge! Thanks to Angus, the bird was able to go back to the wild, where the species is definitely making a new home! 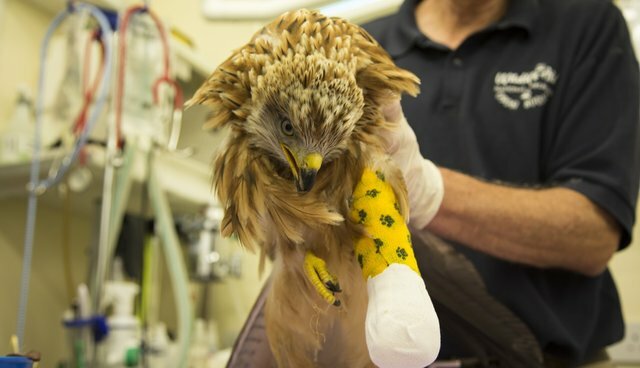 Watch the kite's journey through the hospital and meet the vet who saved its life!